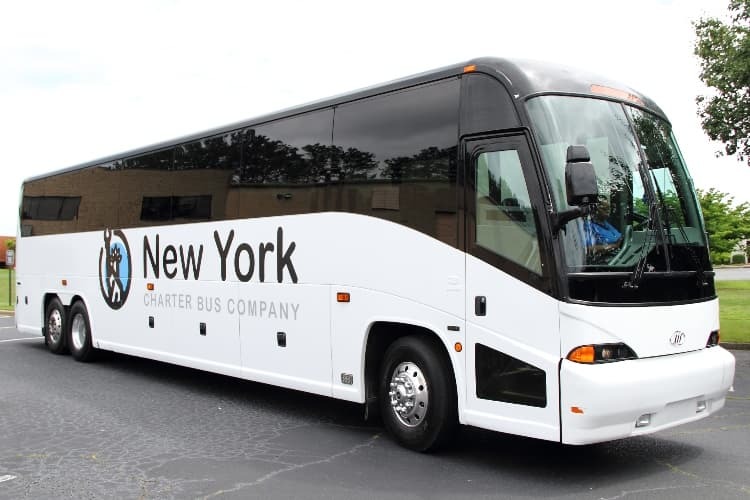 New York Charter Bus Company has provided countless groups with transportation logistics throughout the Empire State. Our services aim to offer you more than just a travel solution from point A to point B. We’re here to help you save time, limit travel-associated stress, and provide the ultimate convenience for your trip. Whether you’re traveling between the boroughs or from upstate into The City, we’re here for you every step of the way. We work with bus providers across New York to give you the largest possible selection of charter buses and minibuses for any type of trip. We don’t stop at only offering a diverse fleet, because what’s a charter bus service without top-quality customer service? Our goal isn’t as simple as getting you where you need to go. We’re also here to give your group the customer support you deserve. Group travel often comes with a long list of possible stressors that aren’t present when traveling with one or two people. Large group occasions can lead to more stressful air travel, limited train options, a harder time hailing rideshare services, and a slew of other mishaps. At New York Charter Bus Company, we pride ourselves on giving solutions to help you avoid these stressors. We value your time and want it to be spent focused on your trip or special event. Going back and forth with phone calls to rental companies probably doesn’t sound very appealing. We agree. Our rental experts aim to streamline the rental process as much as possible, to get you on the road to your destination without a hassle. When you call us at 917-388-9602, you’ll be connected with an experienced rental representative. They’ll just need a few pieces of travel information, including your desired travel dates, your destination, number of passengers, and any specific itinerary information. You’ll be sent a follow-up email with a personalized quote in a timely fashion. From there, all you’ll have to do is check out through a secure online link. It's that easy! Our group transportation services aren’t limited to specific groups. We happily provide transportation solutions for groups of all types across New York state. Saying “I do” in the Big Apple is an exciting occasion! Finding parking for guests traveling from upstate isn't. We’ve got your wedding party and the entire guest list covered. You won’t find a shortage of professional teams based in the New York and New Jersey region. Though there may be a shortage of parking (and your patience) while attempting to drive to MetLife Stadium. Focus on supporting your team while we handle the transportation. Getting stuck on the train with business presentation materials and an array of other conference gear is less than ideal. We’ll get your conference group over to Javits Center with ease. Looking for a fresh and fun field trip destination? New York has an endless number of institutions for local schools to learn from. Improve the learning experience with a comfortable travel experience to match. Traveling around Manhattan for a family vacation? Maybe a big group of friends wanted to head over to The Hamptons for a summer getaway? Hop on a charter bus and enjoy one another’s company. New York is a large and populous state, but don’t be a stranger. Call us anytime at 917-388-9602 to connect with one of our rental experts regarding your next group trip. We’re here 24/7 to help plan your transportation.